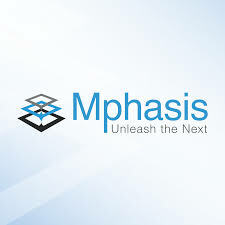 Mphasis, a leading IT services and solutions provider, partners with Arago, a pioneer in artificial intelligence (AI) and leader in intelligent IT automation based in Frankfurt/Main, Germany and New York, U.S. Together the two industry leaders will deliver cutting-edge automation platforms, leveraging both Arago’s problem-solving AI HIRO (Human Intelligence Robotically Optimized) and Mphasis’ deep domain expertise across niche verticals. These solutions will enable customers to automatically identify, predict, and resolve tasks of today’s complex IT environment, thus significantly improving their IT functions, the flexibility of IT operations and reaching optimal IT costs over time. With the partnership, Mphasis will augment its offerings in the automation space and build greater market credibility as an early adopter of autonomics driven infrastructure solutions. Arago’s platform HIRO will empower Mphasis to offer best-in-class automation solutions to its customers, as HIRO achieves astounding automation rates even in heterogeneous IT environments. The continuously self-learning platform automates the entire IT stack – even individual applications. It is able to solve trouble tickets and machine monitoring events at every level of operations, which significantly reduces operating costs while improving speed and flexibility. “In this digital age, success is driven by swiftly adopting technological innovations, enabling companies to perform better and smarter. Although there are numerous complexities that we encounter in today’s hybrid IT environments, intelligent automation has revolutionized the way operations are managed. We want to offer our clients a truly unique solution that relieves their IT from time-consuming tasks, giving them more time to improve their business, while guaranteeing a seamless integration into their IT ecosystems. This is where Arago steps in. Our partner delivers cutting-edge AI technology. Together, we are looking for a rollout of jointly developed solutions that will help our customers to quickly optimize IT costs, drastically enhance efficiencies of their IT and provide better customer service and satisfaction overall,” said Gopinathan Padmanabhan, Chief Innovation Officer and President - Global Delivery, Mphasis. “The complexity of corporate IT environments is challenging many businesses. AI based automation has become a significant advantage in the digital age as it enables companies to shift their focus from simply managing current IT operations to innovation and technological advancement. Otherwise, they risk being left behind by their competitors.